Let's face it, traveling is a hassle; you never seem to pack the right clothes, airport security is always a mess and the hotel gets your name wrong half the time. So why not give your customers, staff, and clients something that they can count on the next time they travel with one of Promotion Pros' branded luggage and travel bags? The All-In-One Fanny Pack is a mini bag by itself. It has enough compartments to store many of your prized possessions safely. 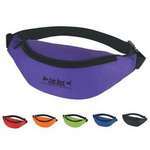 Feel safe and secure while storing simple, yet essential items, in the Budget Fanny Pack. 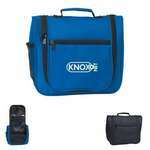 The pack is made of 210D polyester material and has a main zippered compartment. 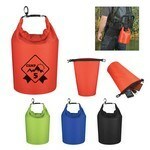 The Waterproof Dry Bag features high quality ripstop polyester construction, Customizable with your logo. 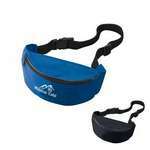 Ensure that your precious belongings stay safe by placing them in the Deluxe Fanny Pack. 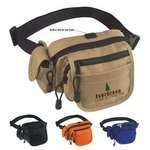 The pack is made of 420D coated nylon, with an adjustable waist strap. Wish your esteemed clients and valuable employees a wonderful holiday season by gifting them the Deluxe Personal Travel Gear. Imprint your business logo on the travel gear to attract attention to your brand whenever and wherever the bag is carried. 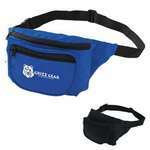 Carry small items, including currency, safe and secure, on your waist, wherever you go with the Fanny Pack. 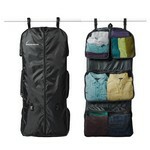 The pack is made of 70D nylon, with an adjustable waist strap. Our Garment Travel Organizer features large storage space and fits into a rolling suitcase to create functional Branded Giveaways. 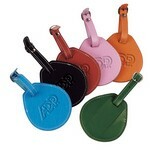 Showcase your logo on Leather Luggage Tag, a practical travel accessory that clients will love. This legacy leather deluxe travel duffel bag has a permanent hard bottom with anti-skid feet and is great swag for traveling employees. This legacy leather travel mate toiletry kit has interior mesh pockets for organization and is great for company employees who are often on the road. Make a fashion statement while promoting your brand to high end clientele with the Little River Leather Duffel. It comes in a legal carry-on size with a full leather bottom.